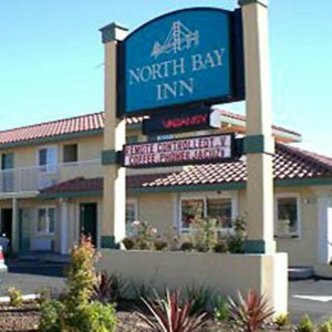 The North Bay Inn is conveniently located off Highway 101 between beautiful San Francisco and Sonoma Napa Valley wine country. The North Bay Inn, a Magnuson Hotels Affiliate, is also close to Sausalito, Stinson Beach Point Reyes Seashore and Mt. Tamalpais and Muir Woods National Park with San Francisco International Airport only 30 miles away.